Smart and Twitter Partner for #DearPopeFrancis. Image courtesy of Smart Communications. In solidarity with the faithful Catholic Filipinos, Smart Communications and Twitter has teamed up to offer unlimited access to Twitter from January 15 to 19, 2015. This promo is timed to coincide with the Official Papal Visit of Pope Francis to the Philippines. With the promo, all 69 million of Smart’s prepaid and postpaid subscribers, plus those of Sun Cellular, and Talk ‘N Text can access to Twitter for free. Smart Subscribers are invited to to follow Pope Francis’s Official Twitter account @Pontifex. Filipinos are encouraged to send their wishes, prayers, and other messages to the Pope via the account and with the hashtag #DearPopeFrancis. This includes photos and videos uploaded through Twitter. Through the account and the service, Filipinos and other faithful Catholics can get real time updates about the Pope’s visit. Pope Francis, through @Pontifex and other accounts, is the second most followed world leader on Twitter. He has 9 accounts in different languages and his tweets are always retweeted hundred thousand times over. To avail of the promo, Smart Subscribers should text DEARPOPE to 9999 starting January 15. Registration is needed only once. Once registered, Smart Subscribers may use the Twitter mobile app or access http://m.twitter.com on their mobile for free until January 19, 2015. And yes, this is on top of Smart’s #FreeInternet Promo. 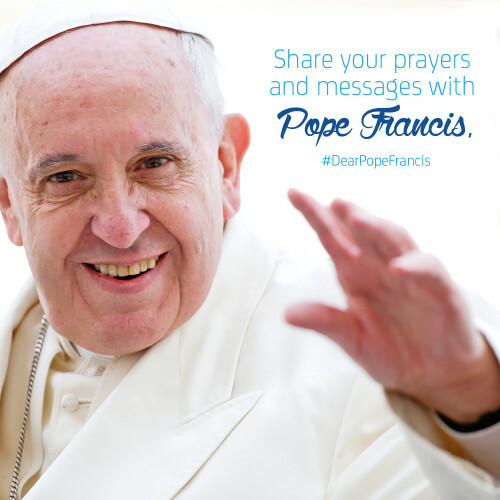 Share your thoughts and messages of hope and love with the Pope by Tweeting #DearPopeFrancis. More details of the Pope’s visit, including #DearPopeFrancis Tweets, videos, stories and the Pope’s itinerary, can be found at http://www.dearpopefrancis.ph. Image from the Smart Communications Site.